88 Minutes is a minor disappointment. 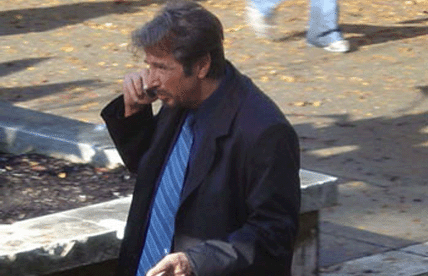 Jack Gramm (Pacino) is a professor who gets a death threat from a mysterious killer say he will die in 88 minutes. Can Jack stop time and his death from happening? The movie has been languishing on a shelf somewhere for years only to reemerge on DVD in Brazil, almost with good reason. Pacino is good as always, but seems uninterested most of the time. He has one good scene when he explains about his daughter. It's the only well-acted scene. All the other actors are outmatched by him. Brenneman does a decent job and Forsythe is wasted as usual. Alica Witt comes off the worst with some weak line readings and expressions. The plot seems like a fast-paced thrill ride but it's anything but. It picks up towards the end but most of the suspense seems forced and squeezed out. 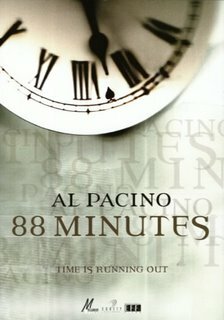 Overall, it's for Pacino fans only.